The Catalyst is an essential component of a Catalytic Oxidizer (CatOx), so ensuring that it is functioning properly is crucial for keeping your emissions within EPA standards. With annual catalyst testing, the life of your catalyst can be predicted with good accuracy. In some instances, tests will find a noticeable decrease in temperature rise, which can be directly proportional to a drop in the destruction efficiency. From experience, this often occurs between 30,000 and 50,000 operating hours, depending on a variety of factors. The life of a catalyst is dependent on the type of volatile organic compounds (VOCs), the amount and type of inorganic masking agents present, the number of times the catalyst has been cleaned, and the oxidizer's operating temperature. 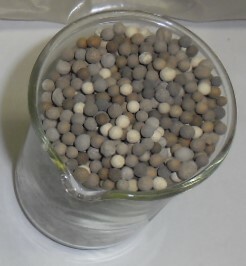 Typical catalyst masking agents are silicon, phosphorous, and base metals such as iron, lead, nickel, chrome, tin, and titanium. CPI can provide chemical cleaning and catalyst rejuvenation services for our own catalysts or other manufacturer's catalysts. Constant use, time, masking agents, dust and dirt, improper shutdown and irregular maintenance can all contribute to your catalyst losing performance. Accumulated particulate and masking agents can render a catalyst ineffective. Often such catalysts can be cleaned rather than be replaced. Let Catalytic Products International, Inc. assist you with an evaluation and an analysis of your cleaning options. Consider Catalytic Products International, Inc. Field Service Technician’s when you have any questions relating to catalyst or catalytic oxidizers. Our Field Service Staff is ready to assist you with all field related catalyst services. Help keep your catalyst or catalytic oxidizer operating at optimum performance.